Transplantation successful! 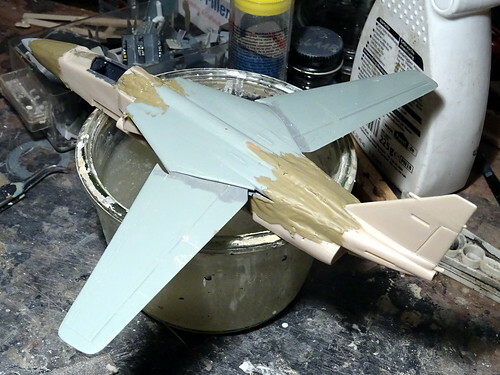 The MiG-23 wing section fits very well on- and into the Jaguar fuselage. Biggest trouble zone is the rear intersection, and the gaps under the wing roots (which come from enthusiastic use of the mini saw, though. Learning by doing...).